This Talking Heads live album had been on my want list since 1979! Going through the bins this afternoon, I finally came across something that I had been wanting since 1979. Cack when I was listening to FM Rock®, there were a number of syndicated recio shows that aired weekly like “King Biscuit Flower Hour” and “BBC Rock Hour.” The two local FM Rock® outlets would also air promo material that was not commercially available. Already being a big fan of Talking Heads, it was in early 1979 that I heard this album being played. “More Songs About Buildings + Food” was the current album, and this Warner Brothers promo album captured the band live on their tour for it, but even so, a number from “Fear Of Music” had crept into their set lists in advance of the release of that album. The song “Drugs” made an early live debut here named “Electricity” instead. 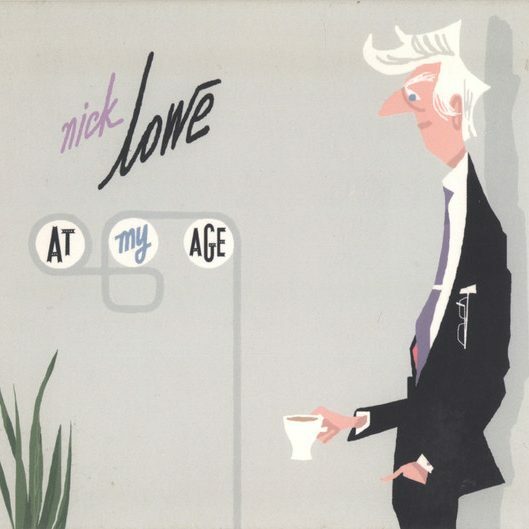 I had remembered this one for decades, but had never run across a copy of the LP. 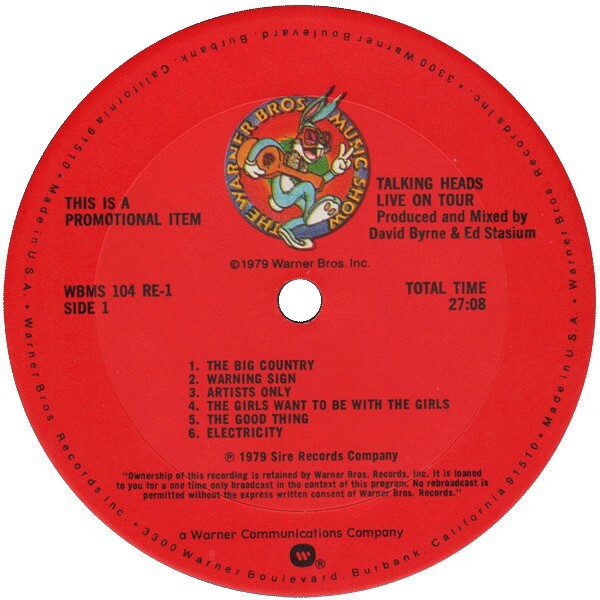 Three tracks from it [including “Electricity”] were added as bonus tracks to the DLX RM of “The Name Of This Band Is talking Heads” when the preferred Talking Heads live album finally made it to the shiny silver discs in 2004. I have it [a tip of the hat to Mr. Ware who picked a great birthday gift…] but I am now the proud owner of the entire album’s worth of material that I had heard 39 years ago as a teen. It cost me $29.95 but I was willing to go there. Next it was time for the CD bins which – shockingly, took up fully half of the store! D’you hear that Asheville? In L.A. stores still deign to sell CDs and give them half the floor space though I should also mention that Rockaway Records didn’t stock any of the new vinyl scourge. It was strictly used records and discs only save for a few special items here and there. Thank goodness. 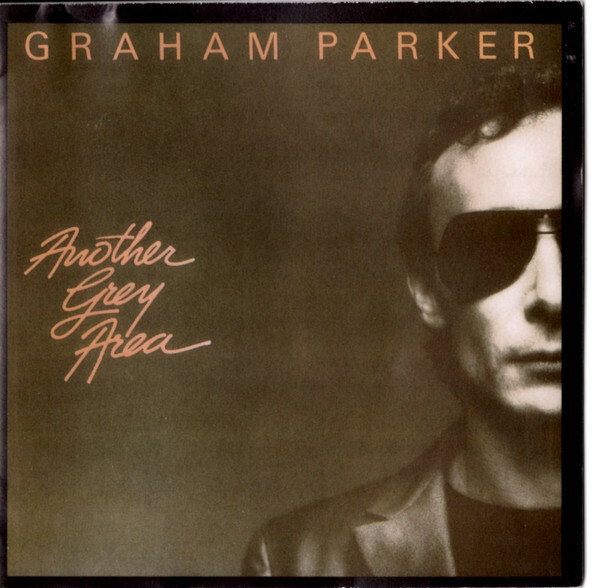 I was excited to see many Graham Parker albums from the middle of his career arc that are typically hard to find on the east coast. 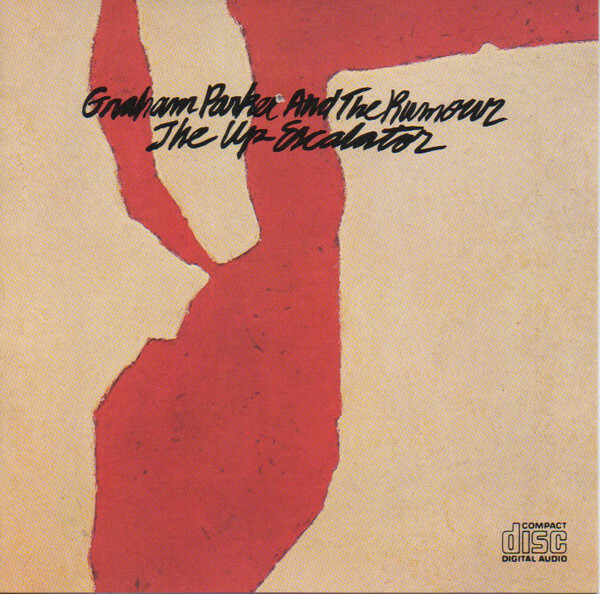 Had I ever seen “The Up Escalator” on CD? Can’t say that I had in 30+ years. I flat out will confirm that I’ve never seen “Another Grey Area” at all on the silver disc. 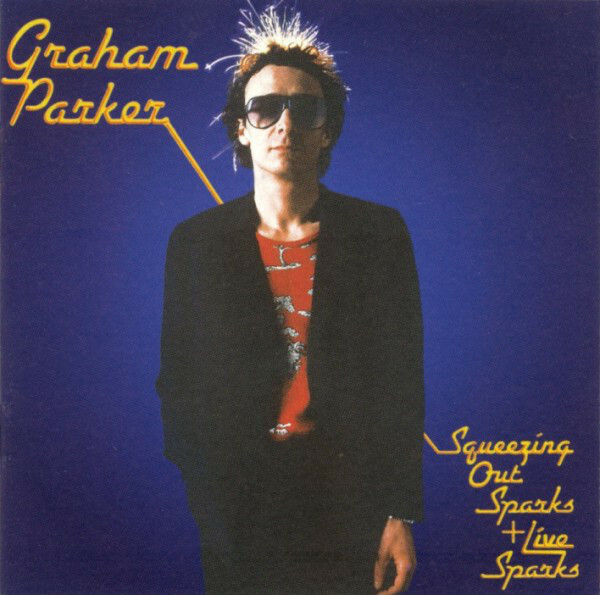 While I have a copy of “Squeezing Out Sparks” for the paltry $3.99 asking price, I bit for the DLX RM of it with the “Live Sparks” promo album added to the running order. And getting the first of the two new albums with The Rumour [I had bought the second at Parker’s merch table last May] that had been out in the world for several years without me running into a copy was also great. I think I just have 4-5 more titles for a complete GP run. 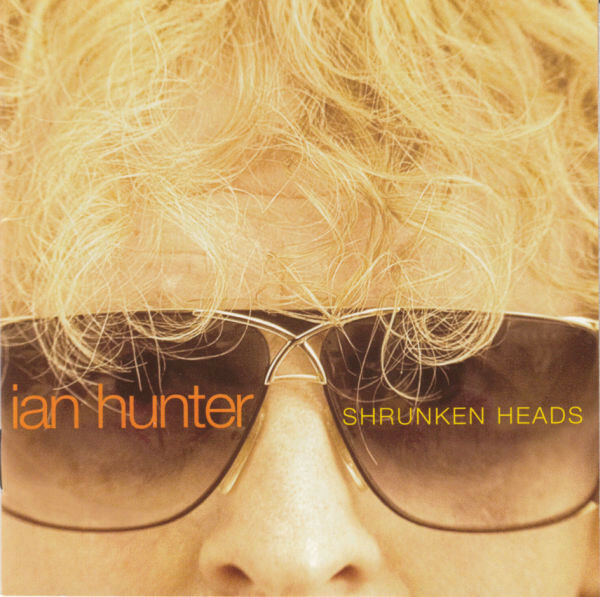 In a similar fashion, I discovered three titles from Graham’s buddy and neighbor Ian Hunter [they are both expat Brits in upstate NY] that I lacked. 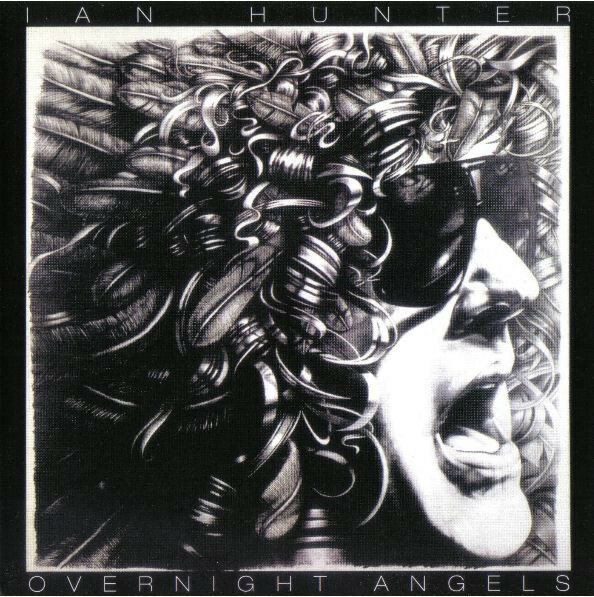 I’ve always got time for Hunter’s literate and emotional rock. Yow! “Overnight Angels” in a NL pressing! I don’t see that every day! The “Y.U.I. Orta” album with Mick Ronson is a bittersweet one for me to buy. The one chance I had to see Hunter/Ronson Band live was in 1989 when they were touring this one and hit Orlando at… The Point After. A semi-legendary college bar near the periphery of my Alma Mater, UCF. I could not bring myself to view these titans in such diminished circumstances, so I passed. And have been kicking myself ever since. Mamacita! 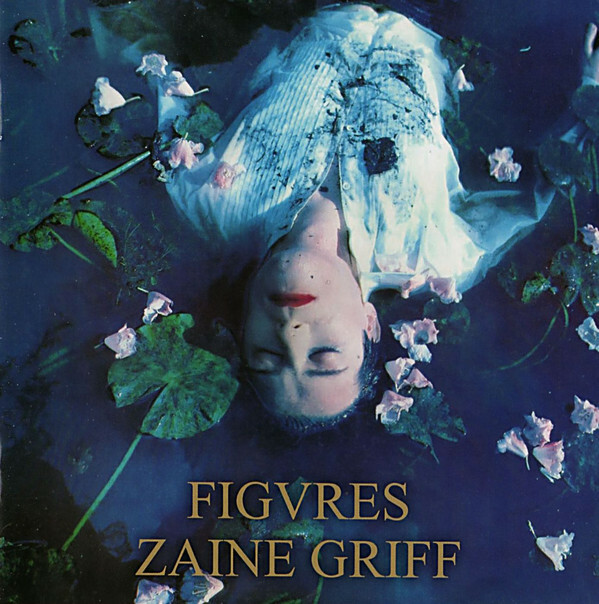 I found a title that has been on my want list for over a decade now – The second album from Zaine Griff – “Figvres!” This thing was super hard to get, for many years being only an expensive JPN import until Zaine issued his own CDs from New Zealand. Beyond the Peter Saville cover, it might figure as one of the [ca. 1982] last gasps of the New Romantic movement. Personnel on it is a mutant blend of YMO/Be Bop Deluxe/Ultravox with Kate Bush on b vox? It recently got a budget 2xCD edition with the first Zaine Griff album and a ton of B-sides/unreleased trax, but until I secure one of those bad boys, this discrete edition of “Figvres” for a mind-melting $2.99 will suffice! I should mention that although Ron didn’t sticker his CDs, this was obviously one of his as he had discussed Griff with me over the years! 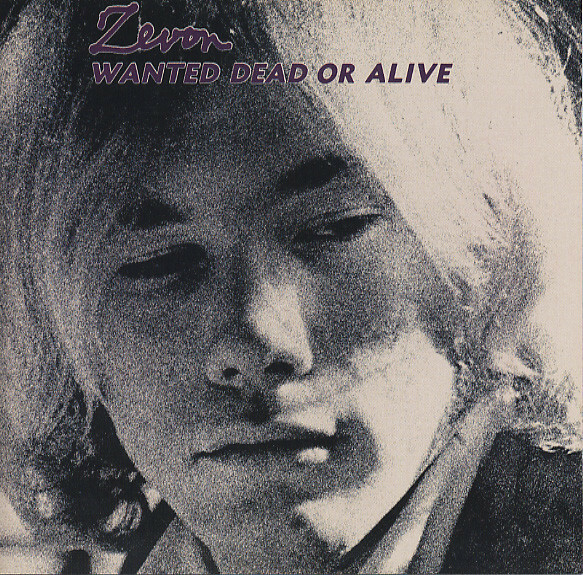 I got the last Zevon CD I needed for a full set; the obscure first 1970 album, “Wanted: Dead Or Alive.” Always ready for more Nick Lowe, especially from his silver headed crooner phase! 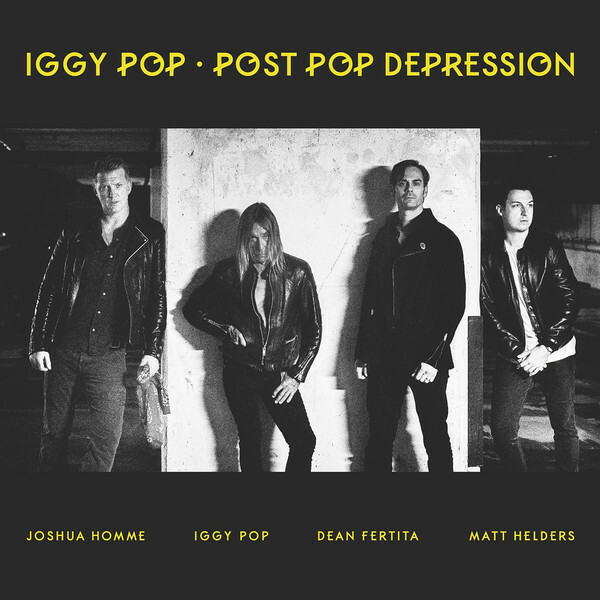 The “Post Pop Depression” album got some crazy good reviews, so I was certainly down with a sealed UK copy for $2.99! 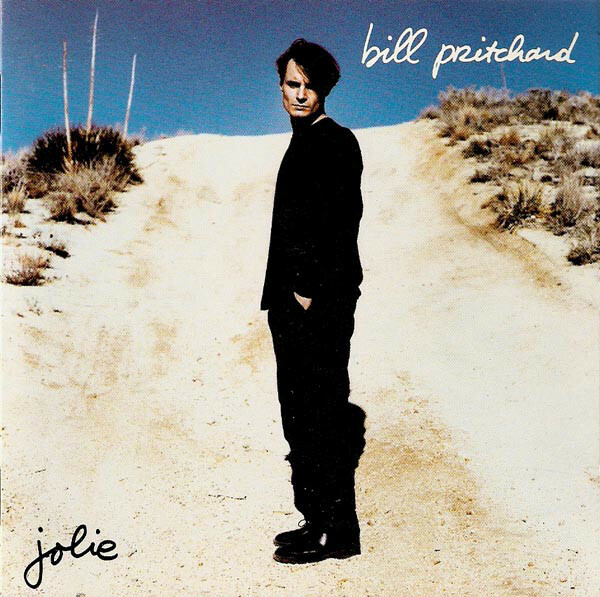 And Bill Pritchard was the sort of Francophile cult artist I never seen enough of in the bins so I greedily snatched that one up. Undoubtedly another of Ron’s discs. As was the Stinky Toys French CD I nabbed. I had later Elli Medieros albums but that was where it all started for her and Jacno in 1977! 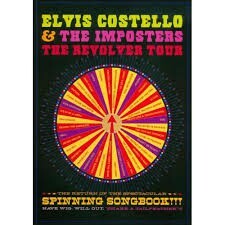 Finally, I got the one DVD from this trip; “Elvis Costello + The Imposters Revolver Tour” DVD of the show I had seen in 2011. Truly an Elvis Costello spectacle that I was grateful to see immortalized on video. The store also had the CD+DVD package of this but the $9.99 vs. the $2.99 DVD alone was a no-brainer for me. I wanted this to watch as much as hear. All throughout the shopping there was a slight mob of Kane-friends shopping together and pointing out interesting releases [which were probably from Ron’s collection]. On the face of it, this shopping could have felt ghoulish, but I only say that in retrospect. At the time buying things which had obviously been Ron’s collection felt like it was the best thing to have done. 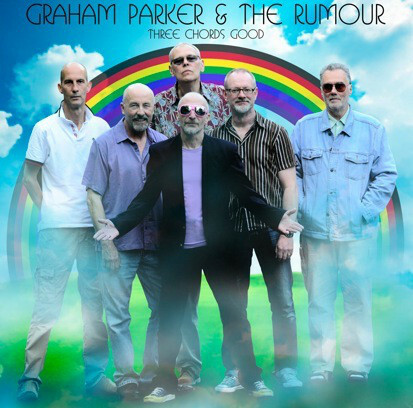 This entry was posted in Designed By Peter Saville, DVD, Live Music, New Romantic, Record Shopping Road Trip, The Great Record Stores and tagged 2018, Graham Parker, Ian Hunter, Ken, Rockaway Records, Ron Kane. Bookmark the permalink. I let that talking heads promo go on discogs 6 years ago for $16, now the lowest there is $30…I thought the vinyl had peaked, oh well! Z. Griff is new to me, thanks for the lead! Bradley Westervelt – Too bad I didn’t buy that Heads album from you back then! For a long while I thought it was completely included in “The Name Of This Band Is Talking Heads” and I assumed I would not need the LP. I can’t speak for Ron (obviously), but I feel pretty confident he would be pleased that his record collection has mostly been bought up by his friends, who will treasure both the object’s lineage and its contents. Ironically, Ron bought a lot of things from Rockaway (since it was among his favourite stores) and so some portion of this collection has come back to them to re-sell … ah, the circle of (music) life! There is no better way to honour the memory of Ron Kane than to dig through a record shop in search of treasure, particularly obscure treasure that one has been hunting for a long time! So much great stuff! I ordered the Zaine Griff 2 cd reissue as a result of your mention. Am impressed you have nearly a complete GP album set now, that’s a lot of music. SimonH – Well; I don’t have any of the numerous live albums GP has issued; mostly on his Up Yours Records label, but maybe with a name like that, I should! I still need: “Howlin’ Wind,” “Heat Treatment,” “Steady Nerves,” “Don’t Tell Columbus, “Carp Fishing On Valium – The Songs,” and “Imaginary Television.” I don’t have “The Parkerilla” but that cover makes me not want to.